Hair cap moss, Polytrichum spp, is one of the easiest varieties of moss to grow. It is an ancient and primitive plant that thrives in growing areas that are full of decaying matter, such as forests. The moss easily adapts to home landscapes provided the growing area meets its required growing conditions. Hair cap moss has a lifespan of three to five years. Choose a shady planting site. Woody, moist areas are ideal as these locations generally have soil that is rich in organic matter. The moss will not thrive in sunny locations. Remove grass or plants that are growing in the planting location. Remove the vegetation manually with a hoe. Rake the dirt to remove any twigs or stones which may be in the soil. Planting sites of 3 square feet generally work well. Collect five to 10 strips of hair cap moss from its original growing site. The strips should be no smaller than your hand. Viable strips are generally 6 to 8 inches long and 2 to 4 inches wide. Cut the strips out of the ground with a sharp knife. Try to retain as much soil with the moss strips as possible. Dig up some of the original soil and place it in a bucket. A few gallons of the soil will be sufficient. Place the strips of moss on top of the soil. Water the new planting site. Sprinkle the original soil over the planting site. Work it into the ground with a garden trowel or garden fork. Lay the moss strips on the soil. Step on them to settle them into the soil. Water the area again. Walk over the moss every two to three days over a period of two to three weeks. Remove any debris that may collect on top of the moss such as twigs or leaves. Plan to water the area whenever conditions are dry. 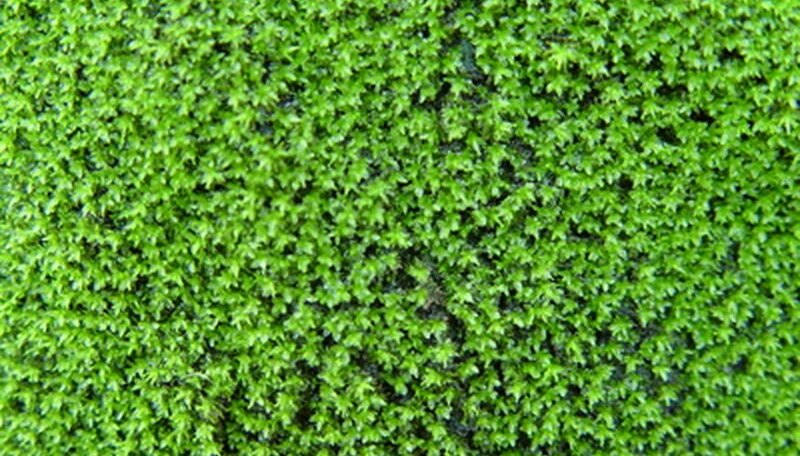 Hair cap moss thrives in moist soil. Continue to water until the first freeze in your area. Avoid fertilization. The moss will get all the nutrients it needs directly from the soil. Virginia Tech: Lawn Moss, Friend or Foe?